Session two of GNBA continued from Waukegan on Saturday. While many of the games held form to the current makeup of the standings, there were quite a few surprising outcomes, including in one of the final games Saturday night. Led by a huge scoring explosion from Moses Moody, ABC Select blew out one of the league’s strongest teams. Balac went off for 28 points in a 20-point win over Quad City Elite. Balac was 12-20 from the field and expanded his game beyond the arc, knocking down two three-pointers. Balac nearly put together a double-double, totaling eight rebounds and five assists. Sam DeMoss – 8th Grade – Martin Bros.
DeMoss ended Saturday with a bang as Martin Bros. dropped Core 6 Speed by 24. He scored 20 points, only missing two shots from the field (9-11) the entire game. DeMoss also chipped in with four rebounds, two assists, and two blocks Saturday night. A consistent high scorer, Doakes was only needed in limited duty as ABC Select topped Core 6 Speed. Still, Doakes went for a game-high 17 points on 7-10 shooting, making easy work of the opposition. Doakes makes the game look too easy at times, getting high quality shots at will. Top Flight got past Quad City Elite thanks to Druvenga’s high scoring effort. He scored a game-high 22 points on 10-14 shooting, including 10-12 inside the arc. Druvenga did a little bit of everything, totaling two rebounds, two assists, and two steals in Saturday night’s win. Johnson does it all for the Playground Warriors. 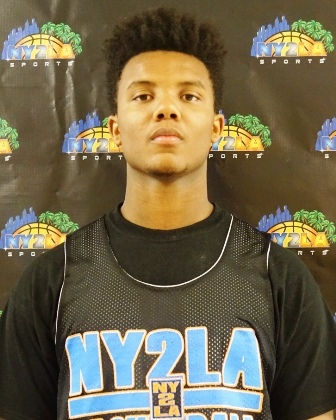 Able to play and defend all five positions on the floor, Jones has tremendous value as a player. Johnson packed the stat sheet with 11 points, seven rebounds, four assists, and three steals Saturday morning, however it was Team Ramey who came out on top by way of a late three-point play. Long was an assassin in a blowout win over Mac Irvin Fire Saturday night. The opposition had no answer as Long put the ball on the deck and powered his way to basket after basket in transition. Long had a game-high 22 points and eight rebounds and was the most physical player on the floor in what was a very chippy game. 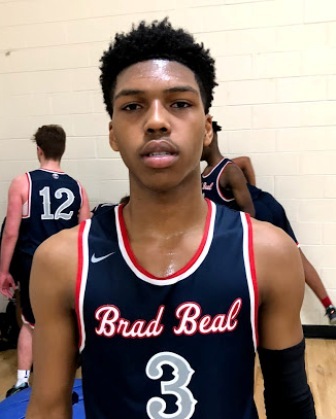 A talented combo guard that turns defense into offense, Love led his team to a big win over the Wisconsin Playground Warriors Saturday morning. Love had a game-high 17 points, including a game-winning three-point play with just three seconds remaining. Love also dished out four assists and had three steals in the win. March was simply on fire in Saturday’s win over Yanders Law. Hitting three triples, March finished with 23 points in the 71-49 victory. He was 9-12 shooting and didn’t miss once from beyond the arc. ABC Select rocked Kansas Pray & Play in one of the more surprising outcomes of the day. In a 74-25 win, Moody poured in 31 points and was the only player in double figures. Moody was 11-13 from the field, including a very impressive 7-9 from three-point range. Suggs had a performance to remember Saturday morning. Nearly putting together a triple-double, Suggs had 17 points, 10 steals, and nine rebounds in a win over the Illinois Rising Stars. An unselfish star, Suggs also dished out six assists, showcasing the ability to be much more than a high volume scorer. Yanders Law edged the Iowa Barnstormers in large part of Taylor’s free throw shooting. Taylor went 13-16 from the line in a four-point win and had a game-high 27 points. From the floor, Taylor was 7-13 and he also had four rebounds and assists each. Anderson was a force for Mac Irvin Fire in their win over Butler Elite Saturday afternoon. A built forward that can finish strong in traffic, Anderson scored 19 points on 8-12 shooting, leading his team to a one-point win. Anderson also chipped in with seven rebounds in the victory. Carr was very efficient from the field and made some momentum changing baskets in Saturday night’s win over Kessel Heat. Scoring a game-high 16 points, Carr needed only seven shots from the field to reach that mark. Carr also led his team with six rebounds and had at least one steal, block, and assist. The Illinois Irish got a big win over Minnesota Heat in the nightcap on Saturday. Leading his team to a two-point win, Crider scored 21 points on 7-13 shooting. In what was a defensive battle, Crider got into the mix of things with two blocks and two steals each. Dakovich nearly led the Shooters to a win over Playground Elite. He got his team off to a great start in the first half, leading by 12 at the break, and finished with a game-high 22 points. Dakovich was 9-14 from the field and was two rebounds shy of a double-double. Dearing had 17 points in a win over ET21 Buckeyes Saturday afternoon. Just like his older brother Riley, who currently plays for Wisconsin, Dearing displayed a sweet stroke from beyond the arc. He hit three triples and was 7-10 from the field with four assists as well. Reed scored inside and out in Saturday’s win over Yanders Law. He was 9-15 from the field, including 4-5 from three-point range en route to a game-high 22 points. Reed was also unselfish, dishing out a game-high four assists as well. Rivera is an intriguing big man who’s just scratching the surface of his potential. 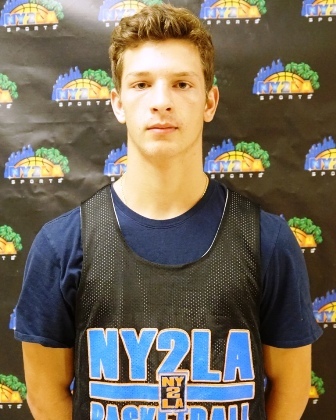 A long, athletic forward with some skills, Rivera was very good at attacking the 2-3 zone from the high post. He had a team-best 15 points and eight rebounds in a loss to ET21 Buckeyes Saturday morning. Russell can be forgotten about among Team Ramey’s strong core of perimeter players, but every now and then he’s capable of a breakout performance. That’s exactly what he did in a 12-point win over the Illinois Rising Stars on Saturday. Russell went for a game-high 20 points on 9-14 shooting. He also had three steals and two assists in the win. It was another easy win for Kansas Pray & Play over the Milwaukee Rebels Saturday morning and Warrior was at the forefront. Warrior had a team-best 14 points in what was a very balanced scoring effort all around. The only player in double figures, Warrior was a perfect 6-6 from the field and had five rebounds, two assists, and two steals to his name. Western has a nice looking jump shot a frame that allows him to shield off contact and finish at the rim. He was unguardable most of the game in a win over Chicago Select. Western had 20 points, displaying a nice mid-range jumper. He also added four steals in the win. Anderson was outstanding to lead Mac Irvin Fire to a two-point win over Playground Elite. He had a game-high 22 points on 11-14 shooting and also racked up 17 rebounds. Anderson killed the opposition on the offensive glass, getting eight second-chance opportunities. Although raw, Anderson showed some solid post work and awareness on the interior. Anderson then went for 22 points and 17 rebounds in a win over Future Elite later that night. Freedman came up big for Kessel Heat in a two-point win over the Iowa Barnstormers Saturday afternoon. The only player in double figures, Freedman had 23 of his team’s 43 points. He also made 10 of his team’s 19 total field goals and had six rebounds in the overtime victory. This youngster had a monster performance in the opening game on Saturday. Gilbert racked up a game-high 21 points and 25 rebounds as the Barnstormers topped Future Elite. Gilbert was 9-15 from the floor and had the paint locked down with 12 offensive rebounds and three blocks. 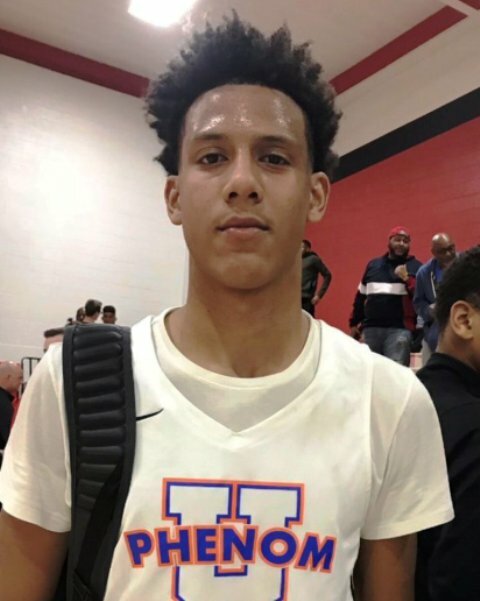 A high volume scorer that runs the show for Yanders Law, Haney made the most of his opportunities in Saturday’s win over the Illinois Predators. Haney went off for 29 points and seven steals, which was more than the opposition had combined. Johnson led three players in double figures in Saturday afternoon’s win over Minnesota Elite. The up and coming wing was a cool 7-11 shooting and was one rebound shy of a double-double with nine. Scoring a game-high 18 points, Johnson also added four steals to his name. Jones had 21 points in a double digit win over the Illinois Rising Stars Saturday afternoon. Making 10 of his 17 shots from the floor, Jones had nearly half his team’s total field goals. He also grabbed four steals in the win. Kamara put Team Getshook on his back in a tight loss to Ray Allen Select. Kamara had 23 of his team’s 32 points, making eight of his 14 shots from the field. He had a double-double as well with 13 rebounds and also racked up five steals in the loss. Katona was unstoppable, as was much of the Top Flight team in an 86-19 win over Future Elite Saturday night. Katona led the way with 27 points, pacing four players in double figures. Shooting a scorching 12-15 from the floor, Katona also dished out four assists in the win. Leach was on fire Saturday morning and his team needed every bit of it. Leading the Spartans to a one-point victory over Yanders Law, Leach had a team-high 20 points on 7-8 shooting. He was unconscious from three-point range, going 6-7 from beyond the arc after some impresses stop and pop moves off the dribble. Palesse recorded a double-double Saturday night against Top Flight. Although Ray Allen Select came up short, Palesse recorded 19 points and 11 rebounds. His three steals were also half of his team’s total. Playground Elite fell to Mac Irvin Fire by two points, but Stargell gave it a heck of an effort. Stargell had 20 points on 9-15 shooting, including 2-3 from three-point range. A solid creator off the dribble, Stargell also contributed three assists. In his second appearance in the afternoon, Stargell had a game-high 18 points in a win over Team Getshook. Thompson nearly started the day with a double-double. Leading Wisconsin United to a blowout win over the Illinois Predators, Thompson dropped 18 points to go along with nine rebounds. Thompson was an efficient 9-12 from the floor and also recorded two blocks.